If you only knew what I've seen. 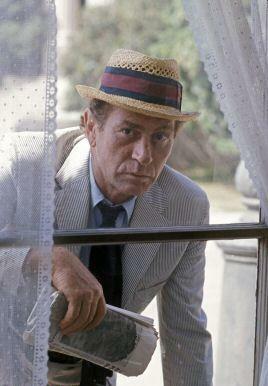 Kolchak: The Night Stalker is the godfather of all good TV thrillers. Debuting as a series in 1974, Darren McGavin starred as the rumpled reporter Carl Kolchak, a man with an incredible nose for a story and a habit of turning up the strange and bizarre. He was cynical about much of the world, yet owned a soft heart for innocents beneath a well-worn (and well-earned) crusty exterior. Kolchak had a definite knack for discovering stories you’d be more likely to find made up for terrible tabloids and late-night fright fests… but his stories were true. He also had a knack for finding the source of those stories, some very terrible and frightening things that would go bump in the night…. After working for a few newspapers in Las Vegas and Seattle (and being summarily sent packing for his “overly sensationalistic” articles), he finally landed at the Chicago bureau of INS (Independent News Service). From here, he was sent out by his old friend and frustrated boss Tony Vincenzo (Simon Oakland). Vincenzo knew that Kolchak was a good reporter, always able to sniff out a story where others might fail. But Vincenzo had been Carl’s boss in those previous cities too, and discovered that Kolchak’s penchant for the unusual wasn’t healthy for Tony’s nerves, blood pressure, or occupational advancement. But a good reporter is still a good reporter, no matter what unbelievable things he might find. But when that reporter seems to find killers over a hundred years old, or bog monsters from Cajun legends, or vampires, zombies, and other seemingly impossible entities causing deaths of innocent citizens, then a bit of disbelief is probably a natural reaction, no matter what the evidence might show. Especially when Kolchak is the only person who will admit to the evidence while the authorities prefer more mundane explanations. Kolchak’s incredible and rather macabre investigations were usually squelched by the police (“to protect the public”), causing no end of frustration for Kolchak and leading to a “one against the world” feeling. Of course, that’s the great thing about heroic figures in various dramas; they continue the fight against all odds, championing truth and protecting the innocent even in spite of their own reputations taking the hit. While Carl Kolchak wanted the truth out there to be known, stopping the evil was even more important so no one else got hurt. Besides, he knew what really happened, no matter if anyone else would listen. Miss Emily and Mr. "Uptight"
Others at INS included Ron Updyke (Jack Grinnage), nicknamed “Uptight” by Kolchak for his rather prissy manner; and the kindly Miss Emily (Ruth McDevitt), an older lady who handled an advice column for the lovelorn. 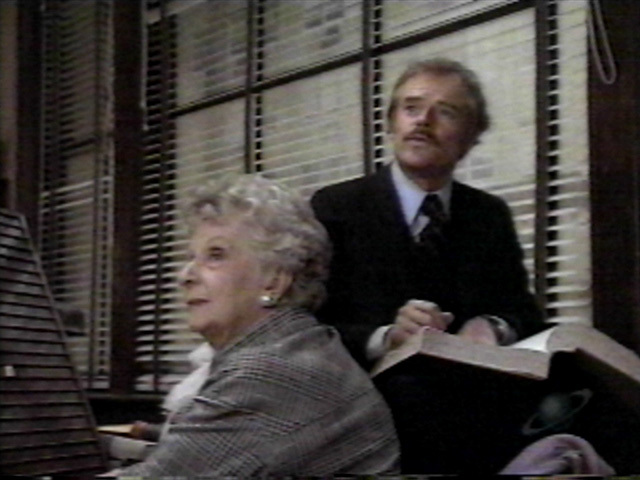 While providing foils for Kolchak to vent his frustrations and concerns, they also were surrogates for the audience, a tactic used to help show Kolchak’s process of searching for answers to the various stories. The series also used the convention of Carl’s narration to do the same (often seen with him at the typewriter, transcribing notes he’d made on his ever-present tape recorder). 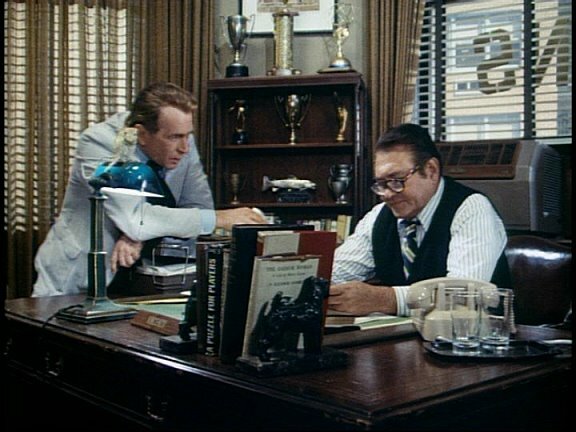 The tape recorder was a terrific method of not only showing Kolchak’s interior monologue about each week’s plot, but allowing for a more lyrical presentation of the future story he was hoping to write. Almost by necessity, Kolchak’s trailing of the various “monsters-of-the-week” was a solitary endeavor, as his ultimate vanquishing of the villain usually resulted in the elimination of the evidence. He was left with nothing but his own tape recorded words (and no real proof). 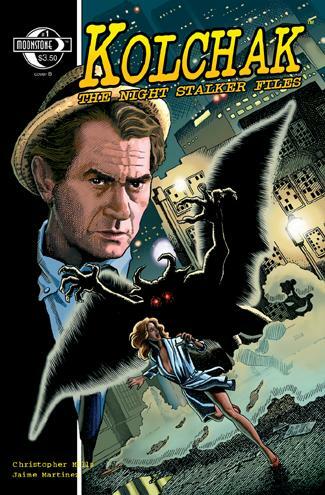 Kolchak: The Night Stalker began as a 1972 TV-movie (simply titled The Night Stalker), which garnered terrific ratings and convinced ABC to do a sequel TV-movie entitled The Night Strangler. Although The Night Strangler was less critically well-received, it was still popular enough for ABC to offer a deal for up to another EIGHT 90-minute dramas based on the concept. McGavin refused, but convinced ABC he’d do a regular series instead… as long as he was also given a producer’s job and credit for the new show. ABC verbally agreed to this, but apparently then asked original TV-movie producer Dan Curtis to continue in that role for the ongoing series, creating bad blood between McGavin and the network. Curtis declined the job, and there was no Executive Producer credit ever given for the series. McGavin was acting as a producer without the credit (or the money), and was also frustrated with the constant need for a monster every week and the sheer pace of production, especially the lack of development of plotlines. The show was initially relatively successful, earning a full season order. A time slot change (an hour earlier on Friday nights, from 9/8 Central to 8/7 Central) led to more frustrations due to more censorship at an earlier airtime. The continued friction between McGavin and ABC finally led to McGavin’s decision to quit the series before the final two ordered episodes were filmed, leaving the series with only 20 episodes produced. That was seemingly the end of Kolchak: The Night Stalker, but like some of the villains on the series, death didn’t always stop their events and influence. The Night Stalker didn’t just influence The X-Files. It was likely a major influence on most any horror/thriller/conspiracy style series since its original debut. 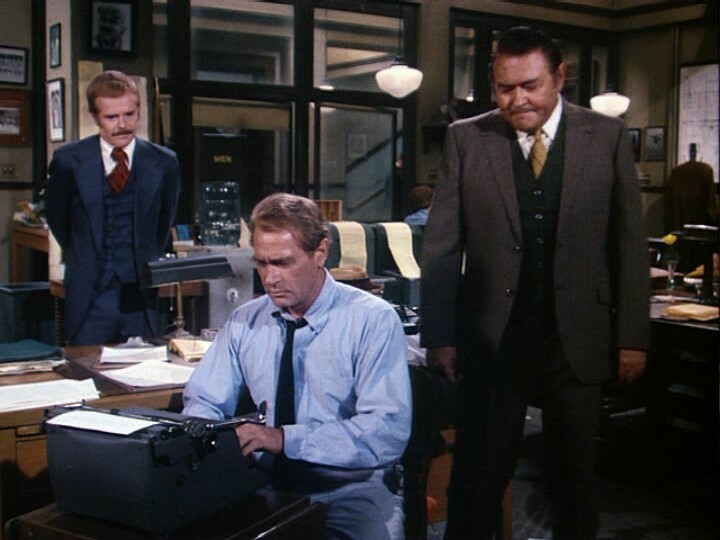 While Kolchak: The Night Stalker was wildly inconsistent as far as plots were concerned, the characterizations, dialogue, and presentation are wonderfully done and hold up well if you accept the outrageousness of some of the monsters. The X-Files improved on this basic thematic style by adding an overarching mythology holding it together, allowing episodes to become more than just the monster-of-the-week. Still, the constant battles of one good man against those in power to discover the truth (especially truth with an otherworldly basis) have been a central theme of The X-Files, Dark Skies, Millennium, Werewolf , etc. All of these can trace their television lineage back to Kolchak: The Night Stalker. Even just the methodology of presenting the monsters and suspense on the series was an influence. Each week’s “monster” was seldom seen in full until the end of the show, allowing audiences just a glimpse and letting the viewers’ imaginations create more horror than film ever could. Dialogue was sometimes dispensed with completely in favor of atmosphere and unexpected frights taking the viewers by surprise (even when they weren’t the villain). The first episode of the series uses a TEN MINUTE stretch near the climax of action and suspense completely uninterrupted by dialogue AT ALL, something that simply would not happen on most modern-day programs. Perhaps the monsters weren’t always the best, but what the production lacked in concepts they more than made up for in presentation. 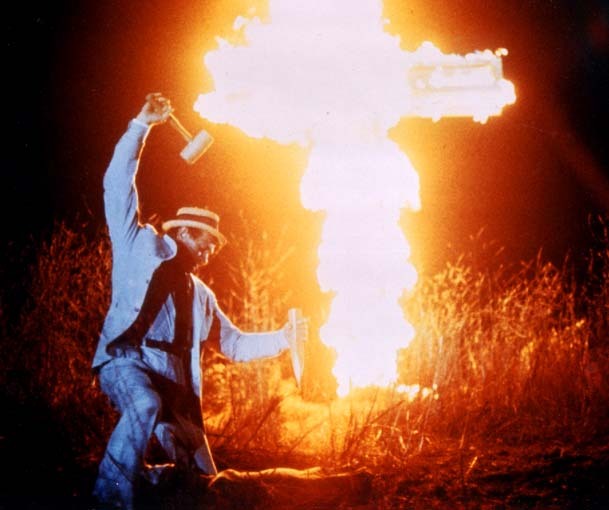 Kolchak: The Night Stalker may not have lasted as a series, but as a prototype for the future development of horror television is was exemplary. It was the first real horror series with continuing characters, as previous attempts at the genre were typically anthology series like Boris Karloff’s Thriller or Rod Serling’s classic Twilight Zone and Night Gallery. Kolchak created a new breed of series that begat a significant number of later shows, each of which tweaked the formula for themselves. It also helped create a later generation of creative television producers. 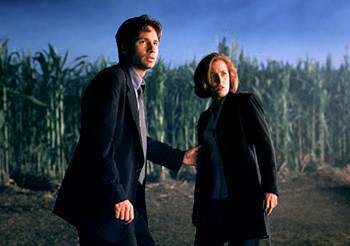 In addition to Chris Carter of The X-Files, one of the story editors on the series was David Chase, who later went on to produce and/or create shows ranging from The Rockford Files to The Sopranos. Actor/Producer Nicholas Cage cites the series as a pivotal influence in his bringing The Dresden Files to television. And if you want to look at all the creative types who have learned at the hand of just these few men, then television literally abounds with producers, writers, and others who all can trace their own creative lineage back to a scary little show about monsters and the reporter who ended up chasing them. Carl Kolchak may not have ever had proof of his investigations, but television has proof of his influence even today. DARREN McGAVIN (Carl Kolchak) started in the business as a member of the paint crew at Columbia Studios in 1945. He got a bit part in a feature, and started a career that led to New York, live TV drama, and Broadway. He starred in many other TV series, including being the first televised series version of private eye Mike Hammer in the late ’50’s. In movies, he appeared (uncredited) in a significant part in Robert Redford’s The Natural, but is more widely known on the big screen for his role in A Christmas Story, playing the irascible and oblivious “Old Man Parker”. Oddly, his only Emmy nomination was for a comedy, playing the father of Candice Bergen’s Murphy Brown. He died of natural causes in 2006. SIMON OAKLAND (Tony Vincenzo) started performing as a concert violinist, a passion he continued throughout his acting career. Although seen in numerous movie and TV roles, he stands out in Alfred Hitchcock’s Psycho as the psychiatrist who finally explains Norman Bates’ behavior. He was the epitome of the on-screen tough good guy, and passed away after a long bout with cancer in 1983, acting until nearly the end. RUTH McDIVITT (Miss Emily Cowles) didn’t start her acting career until she was in her forties, but she certainly made up for time. Although her only other regular TV role was in the 1966 sitcom Pistols ‘n’ Petticoats, she’s also got Hitchcock credibility, appearing as the Pet Shop Owner in The Birds. She died of natural causes in 1976, another one of those actors who were working right until their final days. Kolchak has a significant presence in many other mediums besides television. Moonstone Comics has released numerous issues featuring Kolchak’s further adventures in the graphic medium, while original novelist and creator Jeff Rice has penned novelizations of the TV-movies. (Rice actually created the character, writing The Night Stalker which was adapted for TV, while he was chosen to write The Night Strangler in book form after the script by Twilight Zone writer Richard Matheson was prepared and shooting.) Two short story collections (Chronicles and Casebook) and another original novel (Grave Secrets, which slyly adds a connection to The X-Files, continuing the legacy idea) were also written, but are now somewhat hard to find. 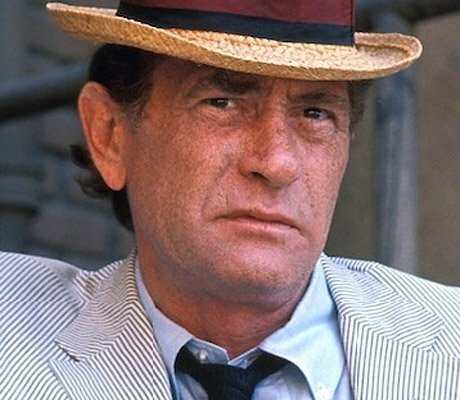 An excellent website focuses on both the series and the career of Darren McGavin, celebrating their history. Both the movies and the series have been released on DVD, and are available for streaming on Netflix. ABC owned the idea of The Night Stalker TV-movie, and thanks to the success of The X-Files they developed a “reboot” of the series in 2005. The new Night Stalker series starred Stuart Townsend as Carl Kolchak and featured both monsters and a recurring storyline dealing with the mysterious death of Kolchak’s wife. Unfortunately, the reboot only lasted six televised episodes (although the pilot has a cameo appearance by Darren McGavin, playing a fellow reporter, of course). Four other produced episodes are available with the aired episodes on the DVD release, plus the scripts for two unproduced hours. (In the ultimate insult, Night Stalker was canceled after the first half of a two-parter, and the second part never aired on ABC.) This series is also available on Netflix. Ultimately, people listened to Carl Kolchak. Not about the monsters, of course. It was up to Carl to vanquish those, with no credit for his efforts. But the exploits of Kolchak: The Night Stalker weren’t in vain, nor did they ultimately go unnoticed. Subsequent television creators like Chris Carter and David Chase had their imaginations sparked by Kolchak’s adventures, and the kindled desires to create thrilling television for all of us to appreciate followed thereafter. Perhaps Kolchak’s truths weren’t immediately recognized by the viewing public, but as Fox Mulder and others discovered, the truth is out there. 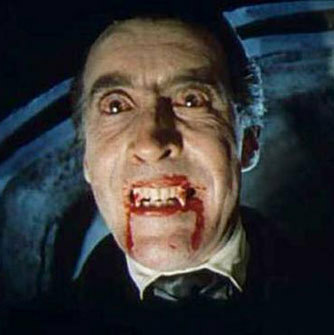 Carl Kolchak showed us the truth… but no one would believe him back then. Aired at Friday 8/7 Central? Not initially, although it was moved to that slot mid-season. Another one of those series for which this website is named. This sounds fantastic. I’m gonna have to find this one.